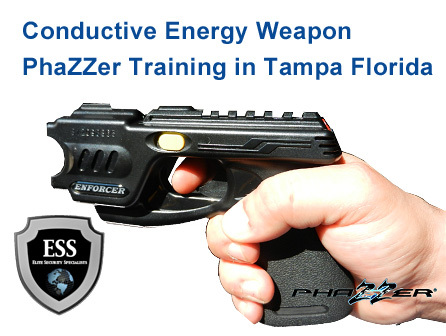 The PhaZZer Enforcer and Dragon are Conductive Energy Weapons (CEW), considered to be “Non-lethal Control Devices” used for self-defense. When used properly, they control violent or potentially violent individuals without causing serious bodily harm to the offender. Years of in-service use have shown that the CEW can prevent serious harm to the trained user, to innocent bystanders, and to the target individuals. The Operator Certification Training Program is a 6-hour program that includes both classroom and range training.